You have filled up a very important void in the market place and for small customers it a great service to get the price info on real time basis . Our Sms Subscription with Polymer MIS is providing very best services. Keep up the Great Work! The Service and attention of Polymer MIS team is really very good and appreciated.Great Job! 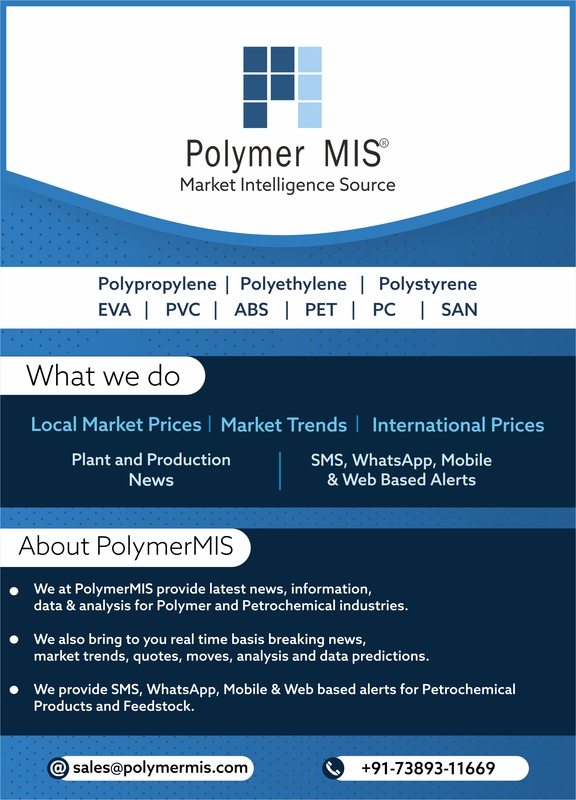 PolymerMIS is emerging as a better alternative for receiving in time and comprehensive news related to polymers in India market.